Hub has 5-bolt pattern on 4-1/2" circle. 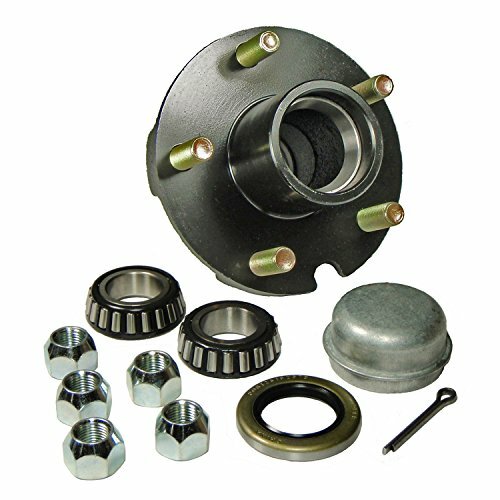 Hub assembly includes (2) L-44643 inner and outer bearings, SL-122 double lipped (1.249" I.D.) grease seal, SCP-100 cotter pin, DC-1505 dust cap, (5) STN-506 lug nuts and pressed in bearing races. Pilot diameter 2.5 inches, flange diameter 5.56 inches. If you have any questions about this product by Rigid Hitch, contact us by completing and submitting the form below. If you are looking for a specif part number, please include it with your message.